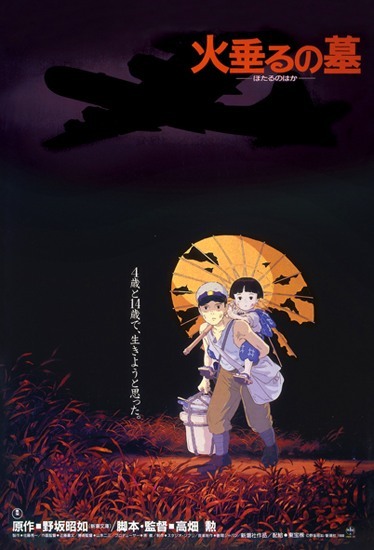 PennsylvAsia: Grave of the Fireflies (火垂るの墓) in Pittsburgh, August 12, 13, and 15. Grave of the Fireflies (火垂るの墓) in Pittsburgh, August 12, 13, and 15. The 1988 Studio Ghibli film Grave of the Fireflies (火垂るの墓) will play in the Pittsburgh area on August 12, 13, and 15 as part of this year's GKIDS Ghibli Fest. Afour-star Roger Ebert review calls the film "an emotional experience so powerful that it forces a rethinking of animation." The film will play at the Cinemark theaters in Monaca, Monroeville, Pittsburgh Mills, and Robinson. The August 12 and 15 screenings are dubbed in English, while the August 13 screening is in Japanese with English subtitles.